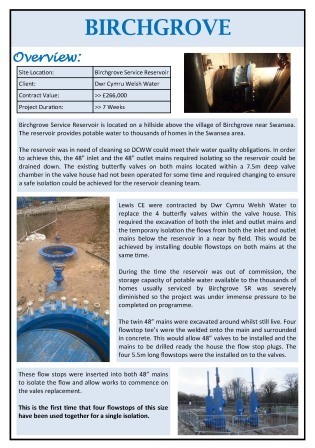 Replacement Mains Water: The scheme has resulted from the necessity to replace the existing 19” cast iron pipe laid in 1910. Birchgrove Service Reservoir is located on a hillside above the village of Birchgrove near Swansea. 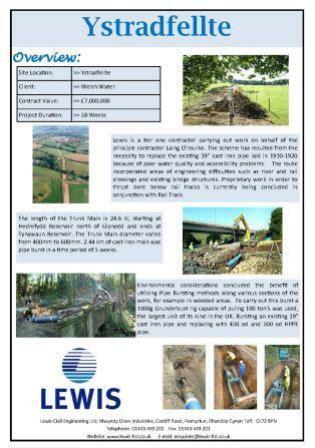 Sink a sheet piled cofferdam and excavate and expose the twin 66” mains at the identified leak position. Replace approx. 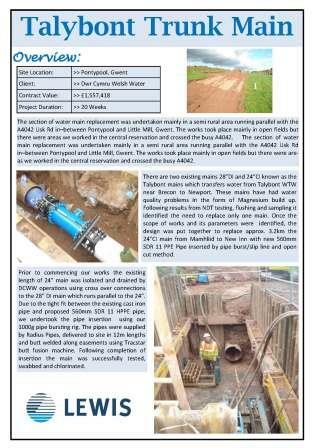 3.2km the 24”CI main from Mamhliid to New Inn with new 560mm SDR 11 PPE Pipe inserted by pipe burst/slip line and open cut method. 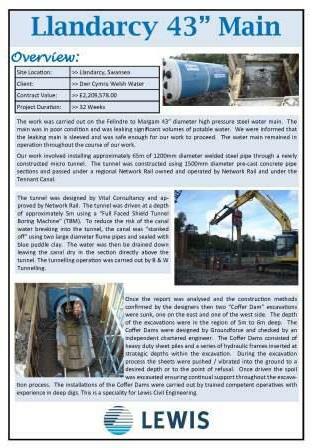 Work was carried out on the Felindre to Margam 43” diameter high pressure steel water main. 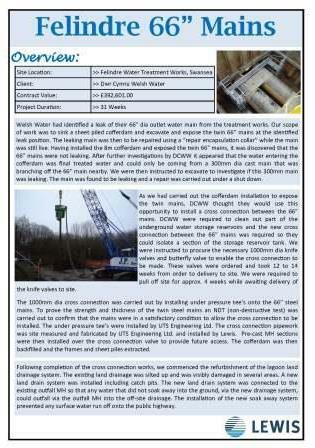 The main was in poor condition and was leaking significant volumes of potable water. 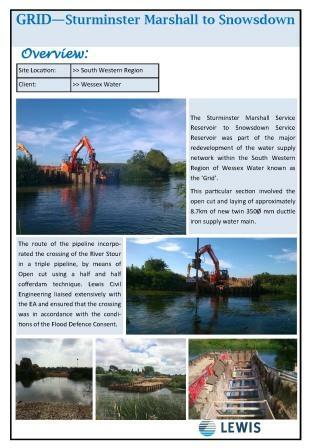 The Sturminster Marshall Service Reservoir to Snowsdown Service Reservoir was part of the major redevelopment of the water supply network. 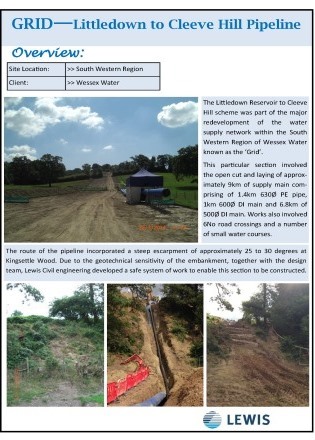 The Littledown Reservoir to Cleeve Hill scheme was part of the major redevelopment of the water supply network within the South Western Region of Wessex Water.